Canon pixma iP90 released almost at the same time with canon Pixma iP 1880. 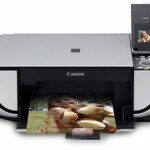 Canon iP90 is printer with single function. Cartidges which used in canon Pixma iP90 is BCI-15BK, BCI-115C dan BCI-16C. Resetting procedure canon iP90 almost the same as manual reset canon iP1880. You can use combination of button in the printer to reset the printer. Before resetting printer canon iP90, start with printer power off . Press resume button coincide with power button. While pressing power button, release resume button. Green LED indocator will blinking and then stopped blinking. When the Power LED lights in green, press resume button 4 times. Press power button and the printer power will off. otherwise off, depress again power button. And the turn on the printer again, your printer canon iP90 should be response as normal. Related to "How to Reset Canon Pixma iP90"